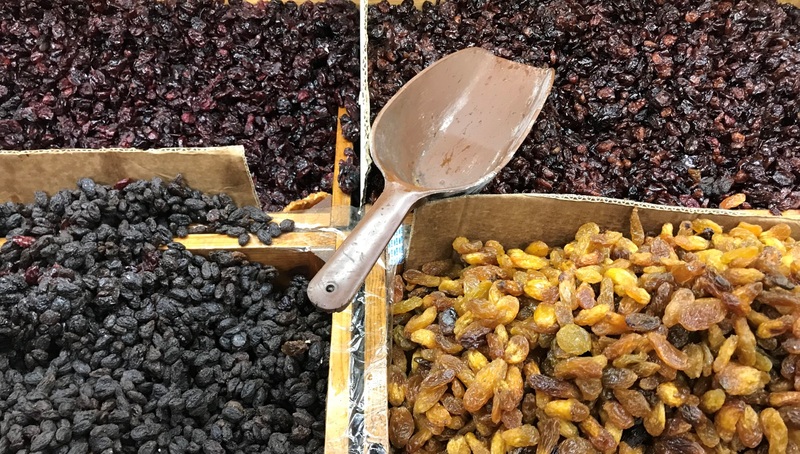 Discover Moroccan, Ethiopian, Georgian and Yemenite specialties in the outdoor market of Ashdod. Only one piece of advice, come hungry. 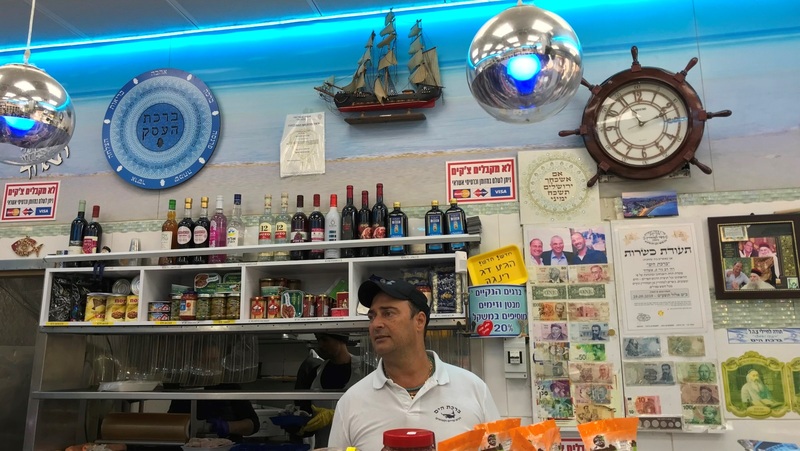 Ask an Israeli about the coastal city of Ashdod and you’ll probably hear about the beach, the seaport and a few famous fish restaurants. 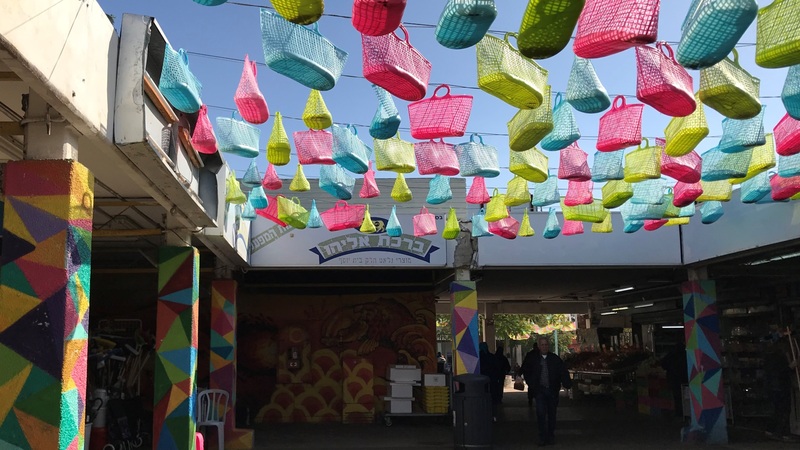 But unbeknown even to most Israelis, the city is much more than a seaside destination. Established in 1956 by 22 immigrant families from Morocco, Ashdod boasts of being the home of 99 ethnic communities speaking more than 20 languages. Each of these communities brought their heritage, culture and, of course, food — making the city the perfect place to discover delicious delights from near and far. 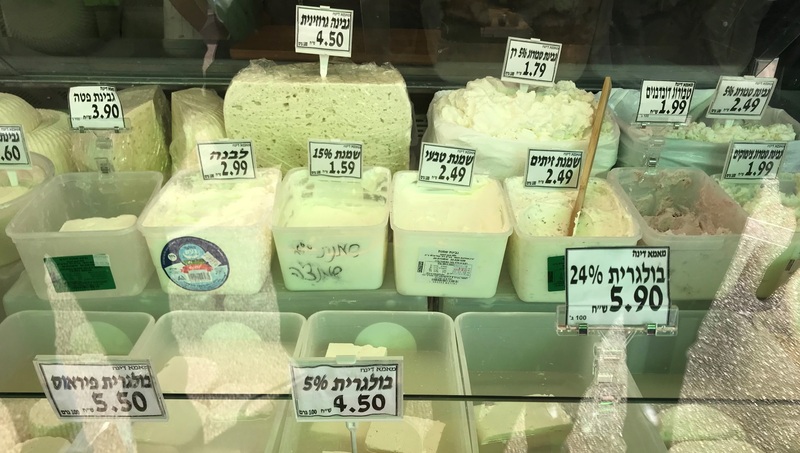 You can get a taste of the city by joining a market tour and getting to know the people and foods that make it so special. One such tour is a foodie stroll through the Rova Vav market. This neighborhood has welcomed many waves of immigrants since the 1970s, making it a melting pot of cultures – Georgian, Moroccan and Ethiopian, to name just a few. Its little market offers visitors a unique opportunity to hop between cultures and cuisines all happily coexisting in close quarters. Only one word of advice: come hungry, very hungry. ISRAEL21c’s tour of Rova Vav started off with coffee and pastries at the Dahari bakery. What started out as a little shop in the market almost 40 years ago evolved into a chain of some 20 branches. Yet the original branch still feels like a family affair, with the owners warmly greeting their regulars. A few short steps later, our group arrived at Birkat Hayam (Blessings of the Sea). Here, brothers Alphonse and Eli sell fresh and frozen fish alongside other delicacies. A table set up in the middle of Birkat Hayam for the tour group was heaving with fried fish, ceviche, fresh vegetables, beer and wine. The fact that it was only 10am didn’t deter anyone from happily munching on crispy cod, Nile perch and salmon, as well as super-fresh raw tuna. A couple of doors down, we stopped at Dikla’s Yemenite Falafel. Now, a little-known Israeli truth is that falafel is often only as good as you are hungry. This was not the case here. Impossibly crisp and fluffy at the same time, Dikla’s golden falafel balls were absolutely delicious. 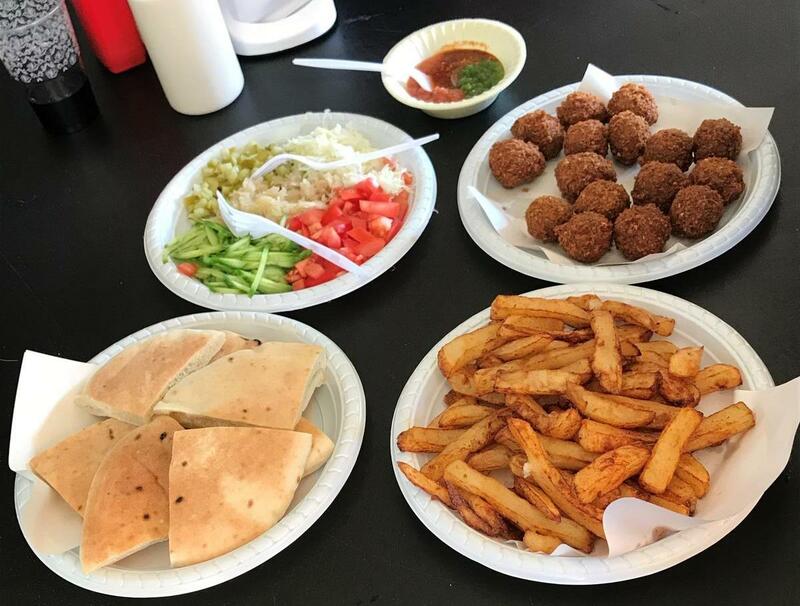 Accompanied by fresh pita bread, tehina, fries and a spicy condiment, it was a perfect bite. Unfortunately, yours truly needed a bit of a breather at the next stop, Dina Spices deli, and made do with refreshing fresh sage and pomegranate juices. But judging by the empty table at the end of the group’s visit, the stuffed vine leaves and specialty Georgian cheeses were just great. 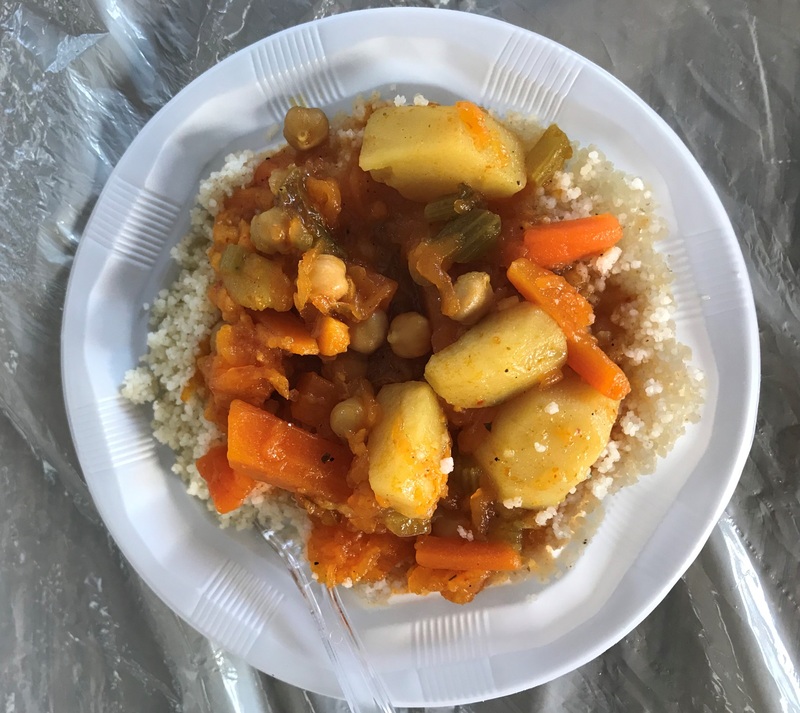 The breather was right on time, as the next stop was actual lunch in the form of fantastic couscous with vegetables – the hallmark of Moroccan cuisine – back at the Dahari bakery, which also sells freshly cooked food. Couscous has become a favorite in many Israeli kitchens, regardless of their origin, and is even a regular in army kitchens (which really don’t do it justice). But at Dahari the couscous was on another level – buttery, full of flavor and absolutely moreish. Up next was Shalom’s, a small store specializing in halva, sweets, nuts and dried fruit. A bite of chocolate-flavored halva was just right, followed by some juicy pineapple from a nearby fruit vendor. The last stop on the tour was Avivit Spices, an Ethiopian spice shop. Here the group tasted injera, a slightly sour flatbread topped with different stews of varying spice levels. 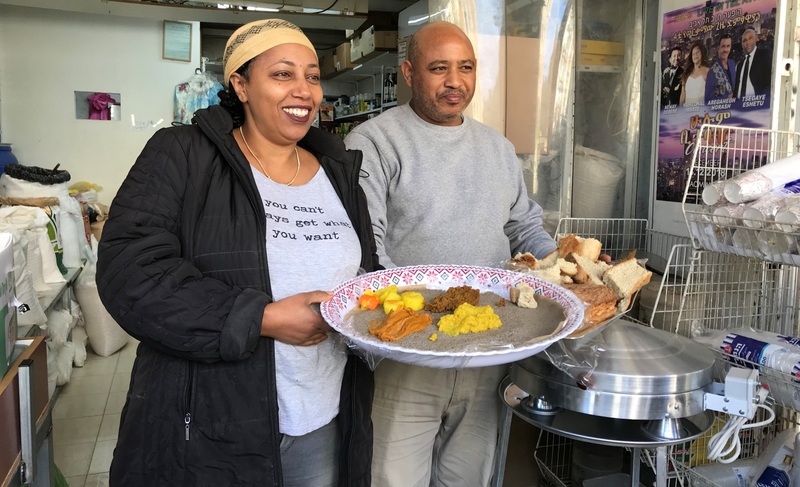 Astaple of Ethiopian cooking and offered here by store owners Avivit and Malak, the injera was a revelation to many in the group, highlighting the tour’s success in bringing to the fore cuisines and communities that are still unfamiliar to many in Israel. And it seems he’s not the only one. All the vendors at the market were excited to share their cuisines and were delighted by their visitors’ thrilled reactions to the food. 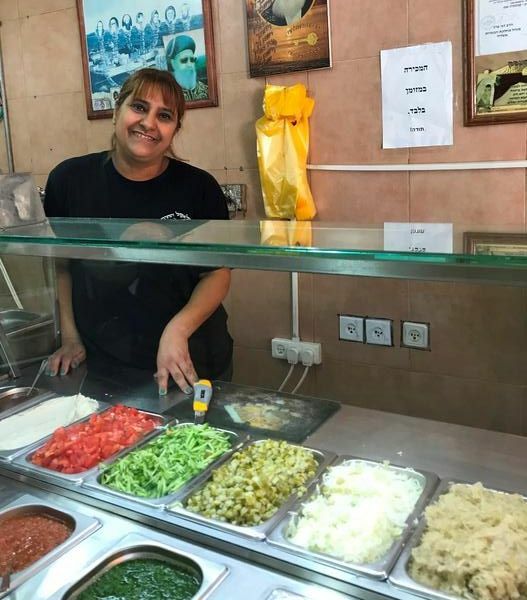 Again, just come hungry –for tasting and for getting to know Israelis of all backgrounds a little bit better. English-language food tours for groups of 20 or more can be booked through tour guide Mally Bonavida at +972-(0)52-861-0986. This article originally appeared on ISRAEL21c.